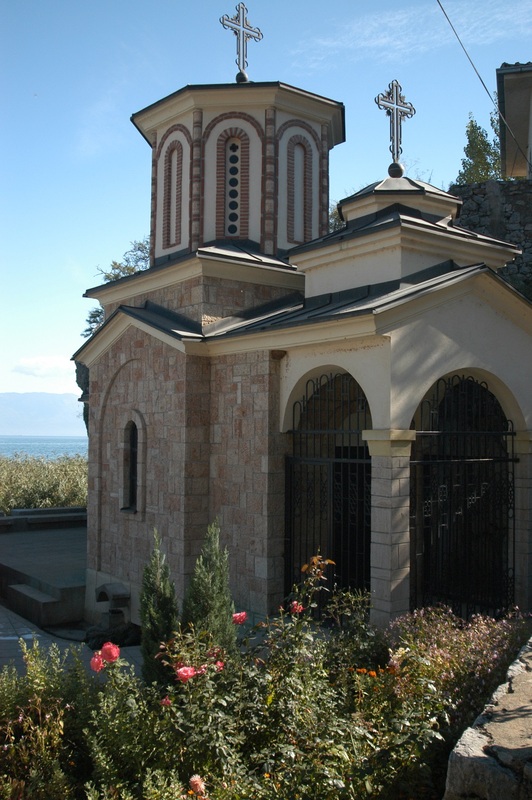 This monastery is located four kilometers south of Struga in the village of Kalishta on the western edge of Lake Ohrid. This church dedicated to St. Mary began in a cave in the 14th-15th century in the high rocks and later expanded into a monastery complex to include another church, residential and administrative buildings. This monastery complex has been inhabited by nuns for many years now.